I don't have the energy I used to have, and that, combined with looking after Mum (90) decided me to pay someone to wallpaper her new bedroom last Friday. All fine and dandy, until he rang the night before, to say he'd injured his back, but the new carpet's due to arrive and be fitted this Friday. I wasn't able to get anyone else at such short notice, so I spent yesterday and today doing it myself. I love the paper Mum chose, and it was lovely to put up - tough but flexible, and with a very short pattern match, which meant little wastage. I'm glad she didn't choose anything too bedroom-y as it's a sitting room for her, as well as for sleeping. This was the status quo yesterday lunchtime, and I finished it this afternoon. Now I just have to put the border around (pics when finished). Having been without a craft room for far too long, I've been having withdrawal symptoms and got the trusty machine out last week. 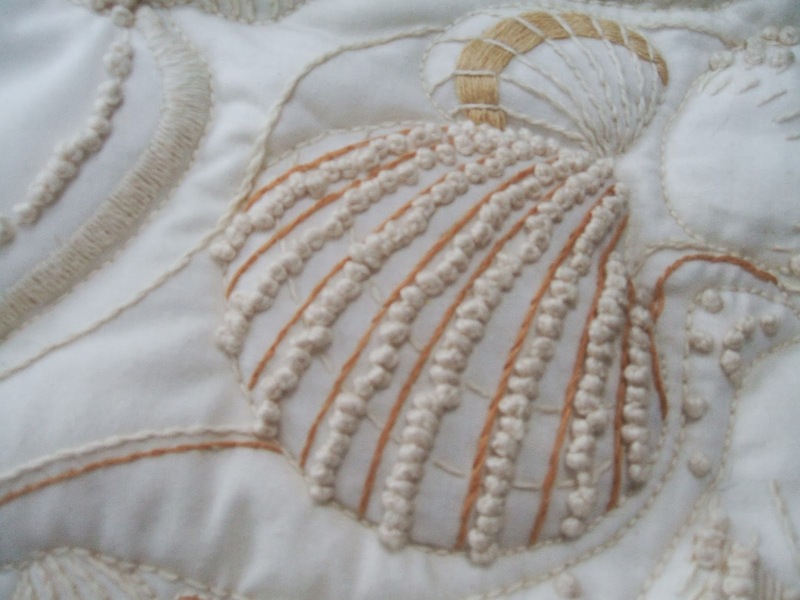 I did this needlework donkeys' years ago a while ago, but couldn't decide how to finish it off. Having had a quote of £35 to put in a box frame, I made a cushion with it (£0!! - much more my price!) 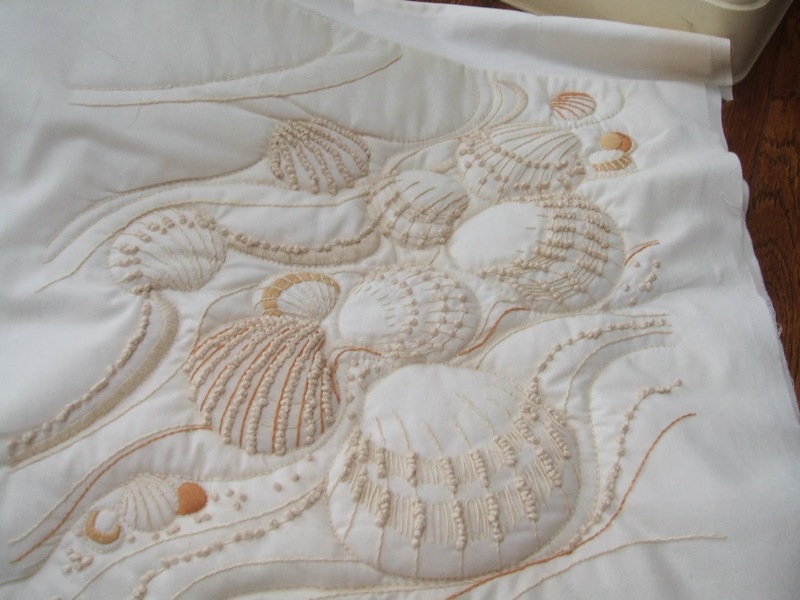 It will look good on the bed in what will be the guest/craft room, once Mum moves downstairs. 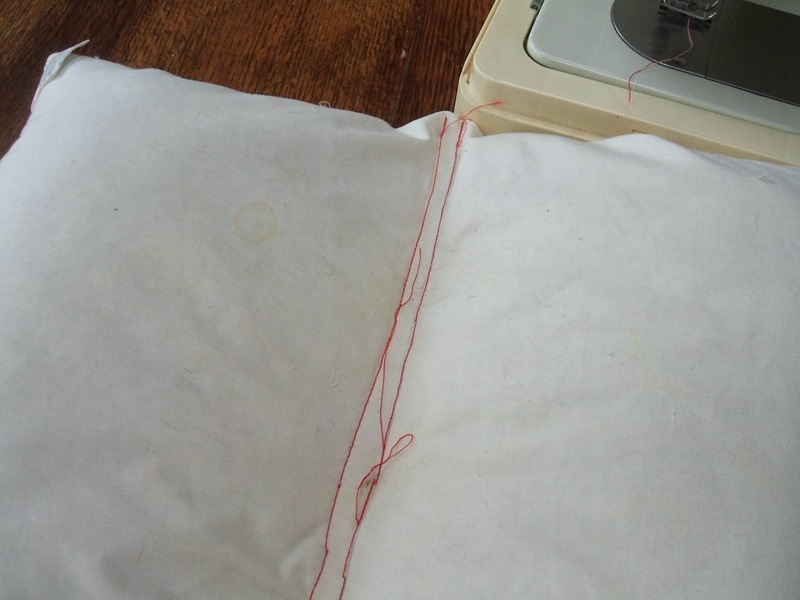 In the absence of a cushion pad, I cut down an old pillow by sewing two seams across and cutting between, to stop feathers flying everywhere. 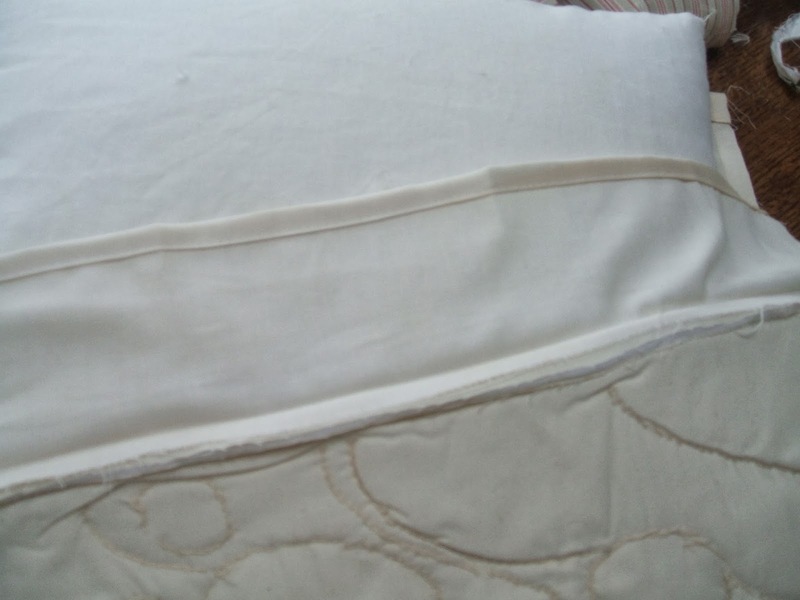 It has a pillow case opening, finished with three buttons. 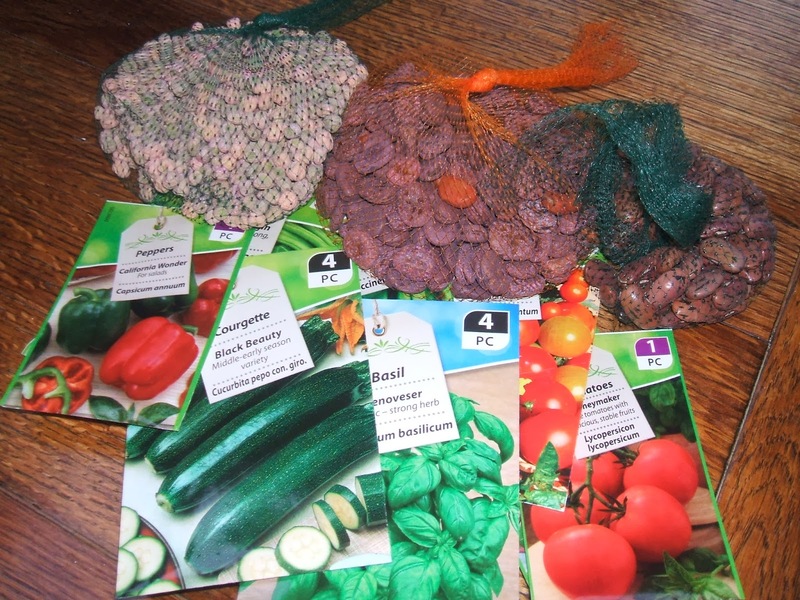 Making the most of the wonderful weather we've been enjoying the past few days, I splashed out on new veggie seeds that will go into pots in the greenhouse, later this week. All this excitement proved too much for my two old ladies, and I thought of taking bets on who would fall off the perch first. Fortunately, they both woke before any accidents happened. You are very accomplished! 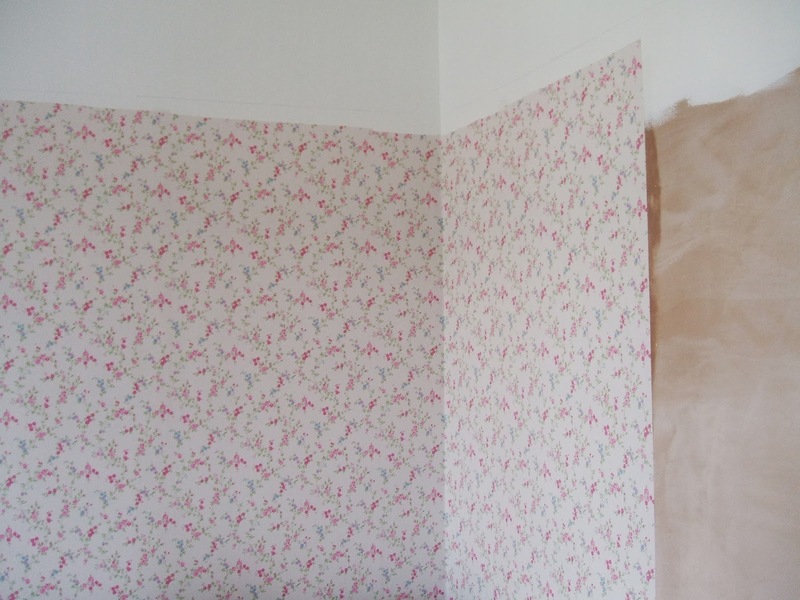 wallpapering is hard work! blooming good for you! It's very pretty and fresh. your cushion is wonderful..I particularly think that the way you handled the pillow is genius! There is no way in hell I would wallpaper a room, wouldn't know where to start. Looks like you know what you are doing. 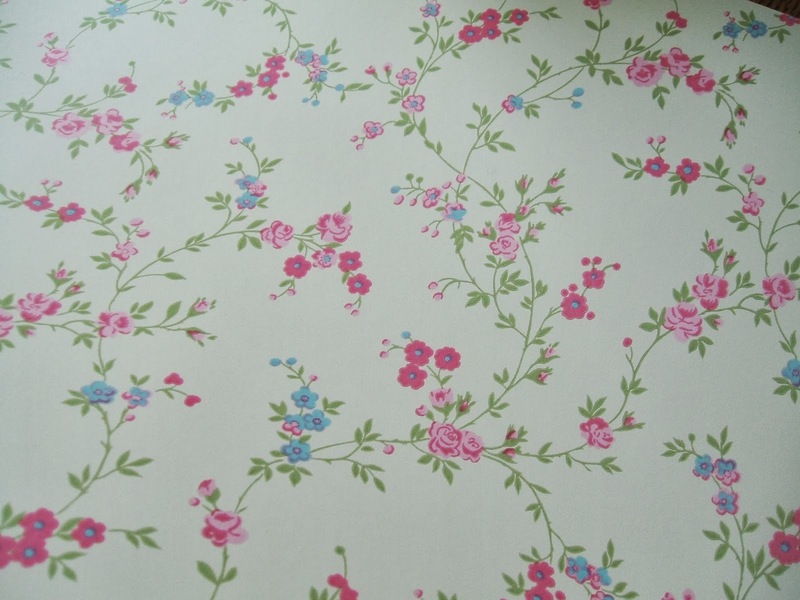 Such pretty paper too your mum is going to love it. As for the pillow, wise choice, I think you will enjoy it more on the bed. 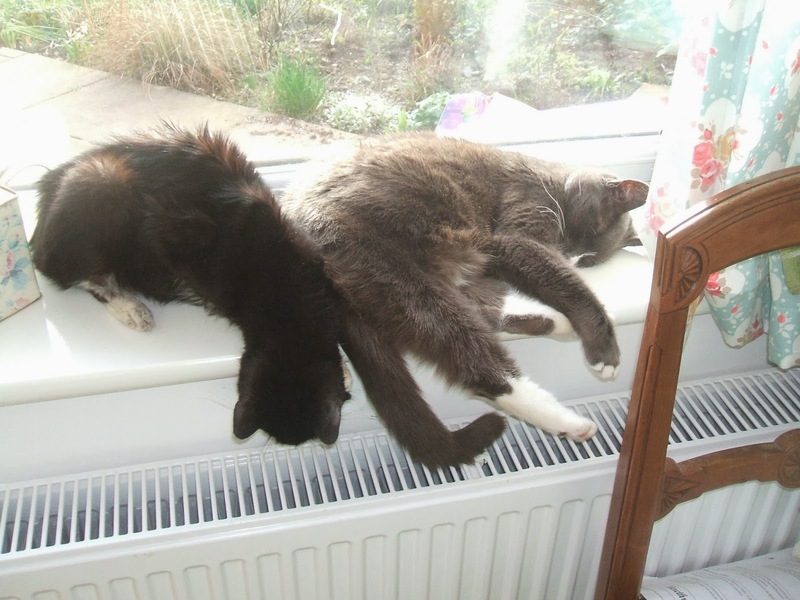 Thanks for sharing the puddy tats they look adorable. What a lovely pattern your Mum picked. And the pillow is awesome. It turned out beautifully. 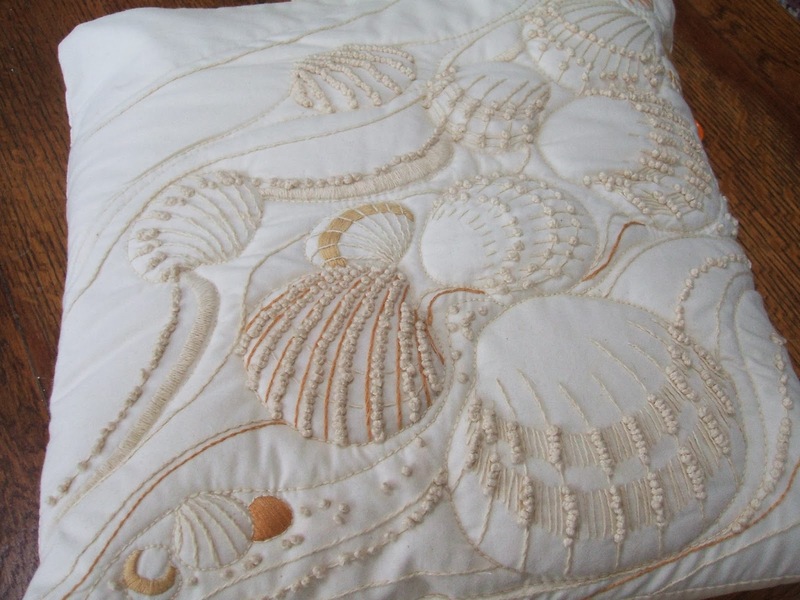 Wow, your cushion looks great.Wall paper gives me shudders.We haven't had paper on our walls for 14 years. But we are thinking of some on a couple of feature walls. Well done you for papering.I find that job is very challenging now (metal knees don't like ladders and bending etc.